Not everyone can wear an open-toed style. 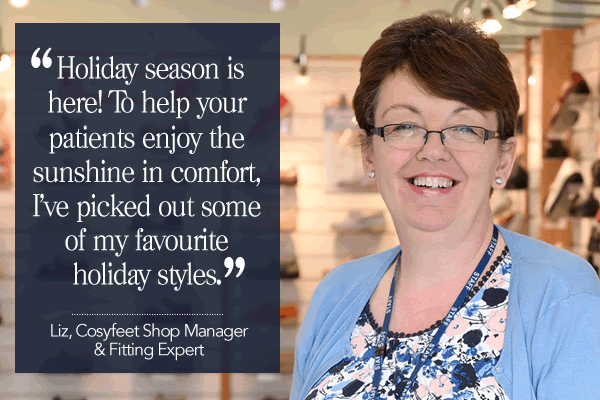 Shelley is ideal for patients who want the coolness of a sandal but still need the protection of a shoe. 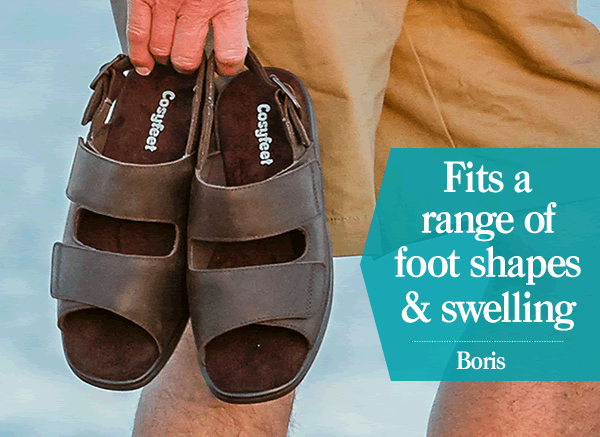 This is a very comfy sandal thanks to the stretchy lining and cushioned footbed. 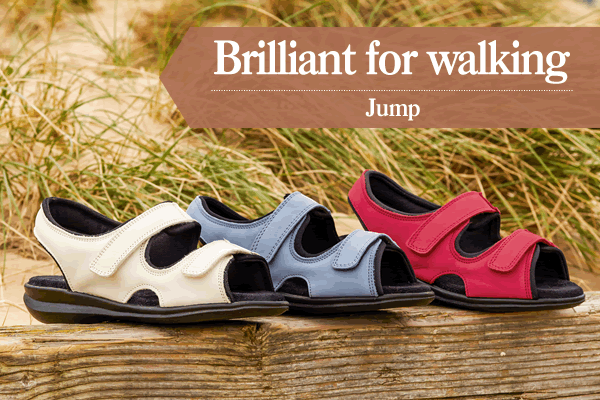 The shock-absorbing sole is great if your patients like to keep active when they’re on holiday. Comfy and cool, our fabric shoes are the perfect choice for summer. They’re also lightweight and easy to pack so they’re great for holidays or weekends away. This is one of my favourite styles. It opens completely so it’s ideal for very swollen or bandaged feet. And if you add the extension straps, it can accommodate extreme swelling.